Are you considering setting up a website? One of the first things to consider is of course what web host you’re going to use. There are many different professional hosting providers out there, and if you’re confused about what to look for in a web host, check this Canadian hosting comparison page on Hosting Foundry for detailed descriptions of the key features to review. Many professional hosting providers offer users free domain names. Sometimes though, the host will offer you a free domain name you can use it at no cost, but the host continues to be the owner. This means that if your site receives a lot of traffic and is generally a success, the domain name is worth a lot of money to the web host. Another problem that arises from free domain names is that you can’t easily switch to another web host because they own your domain name. So exercise caution when researching your hosting site, and be wary of any that claim to offer free domain names. Chances are, there are strings attached. You may also find that if you choose to use a free host, they don’t offer you the long-term security that a paid hosting site does. Many start-up hosting sites don’t last long in the competitive market. If they go under, you may lose all of your online content. You can usually identify web hosts that are not going to be around for long by the quality of the web design. If the web design is poor quality, consider using a different host. If you do choose a free hosting site, make sure you back up everything as well. To have good functionality on your WordPress site, having plugins is essential. Put simply, a plugin is a piece of software code which can enable your site to do something it was previously unable to do. Whether you’re just starting out or experienced with website building, you should consider plugins. You can choose between a few main ones. Yoast SEO will help you rank on search engines by optimizing your content and site. This plugin has a direct result on whether your website is noticed or not. This plugin can give you effective, custom reports that provide information on your site’s traffic, audience, and performance. If you’re sick of removing spam comments from your site, this is the plugin for you! However, if you’re still driving content and hoping for any comments – try Yoast first! If your hosted website is running slowly or needs a performance improvement, then consider optimizing the images on your page. There are many ways you can do this, such as by downloading a plugin to reducing the size of the image files. The benefits from this simple process can be huge. You could find your website loads faster and is more enjoyable for visitors to use. 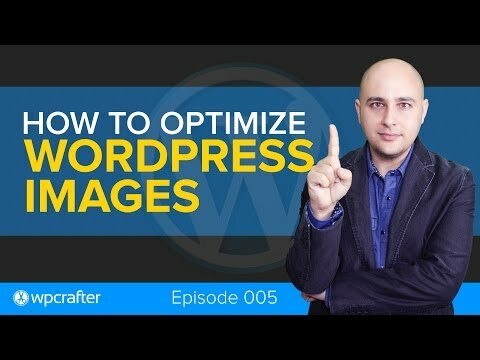 Consider the EWWW Image Optimizer for WordPress, or use a site online such as Dynamic Drive. With these professional hosting tactics to use on your website, you can make the right decisions and optimize your website effectively.